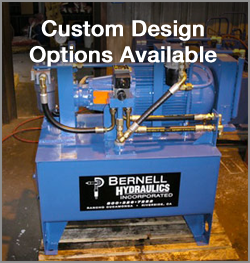 Precision fluid control is a key part of any efficient and reliable hydraulic system. And you can’t get precision fluid control without the right valves. Fortunately, you can get the high level of performance, control, and reliability you need with Oilgear valves in Colton CA. Size: Whether you have a tiny 6 mm line or a healthy 450 mm one, Oilgear has a valve to suit. Pressure: Oilgear is no stranger to high pressure applications. Certain types of standard Oilgear valves in Colton CA can handle up to 4,000 bar. Flow: Flow rates of up to 100,000 liters per minute can be accommodated. Fluid: Thanks to their rugged construction many Oilgear valves will perform to a high standard with just about any fluid. Mounting: Manifold, sub-plate, flange, and pipe mounts are all available. If using a manifold mount, you can choose a slip in or screw in cartridge valve. Ready to Order Your Oilgear Valves in Colton CA? While we’re always happy to see you at our stores, we realize many clients are too busy to come in. Fortunately you can quickly and easily order your Oilgear valves in Colton CA by calling us at 800-326-7252. You can also reach out to us using our online contact form. Either way, we promise to get your valves to you ASAP.